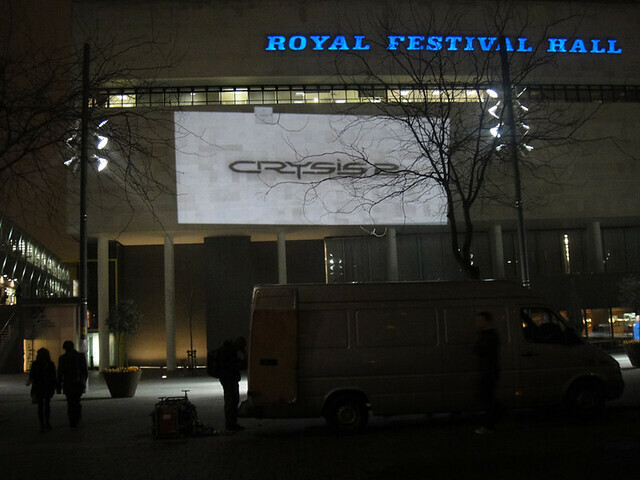 On Tuesday evening, myself and a few Collective colleagues headed out onto the streets of London for the Crysis 2 'Live Alien Invasion'. 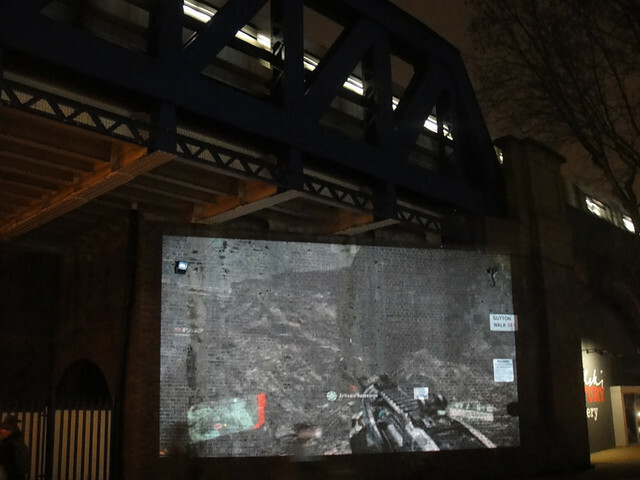 Travelling with a projection team and a film crew, we beamed the new Crysis 2 game onto various iconic locations around town. 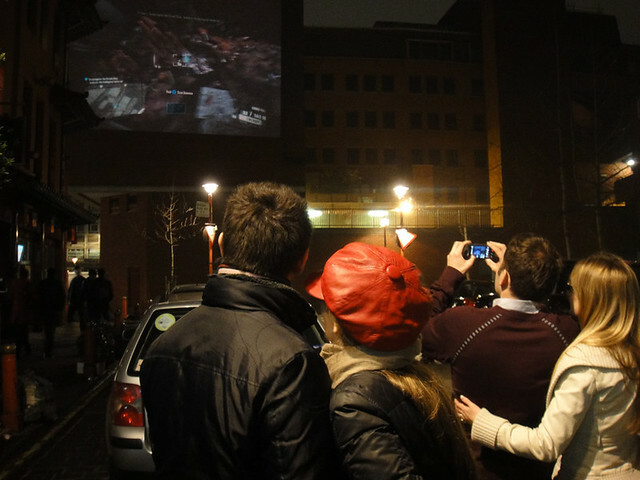 The projector was hooked up to an Xbox 360, allowing members of the public a chance to have a first play on the game and on a large scale. 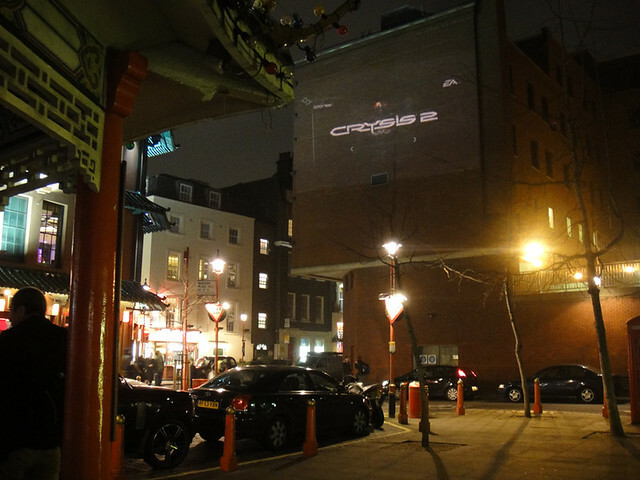 We started off at the Southbank before heading off to Chinatown, then ending the night up in Shoreditch Highstreet. Yesterday, a few members of the team headed out to Paris to do it all again (I'll post photos when they come through). 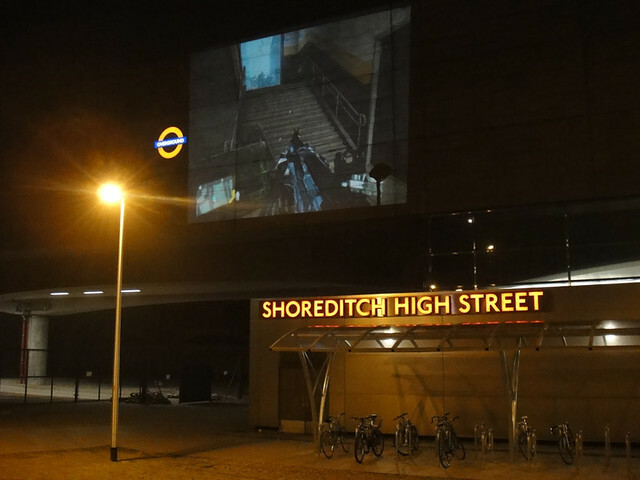 Each location was kept a secret until the night, when information was seeded out on the community pages, using Facebook Places to invite people to come along and play the game. All in all a great night. If you want to see more photos of the evening, check out my Flickr set here.